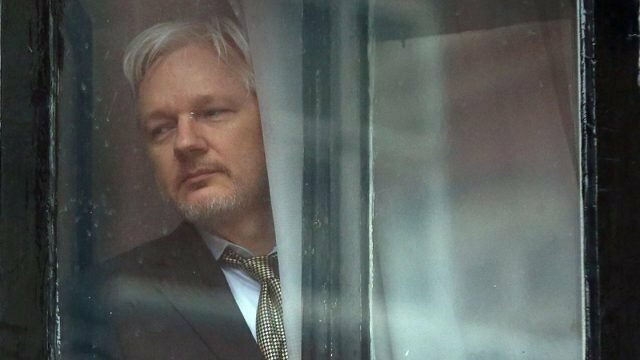 Last Tuesday a top lawyer for the New York Times named David McCraw warned a room full of judges that the prosecution of Julian Assange for WikiLeaks publications would set a very dangerous precedent which would end up hurting mainstream news media outlets like the NYT, the Washington Post, and other outlets which publish secret government documents. The New York Times is aware of this, and as evidenced by McCraw’s comments it is also aware of the dangerous precedent that such a prosecution would set for all news media publications. The New York Times editorial staff are aware that the US government prosecuting a publisher for publishing important documents that had been hidden from the public would make it impossible for the Times to publish the same kind of material without fear of the same legal repercussions. It is aware that the manoeuvres being taken against Assange present a very real existential threat to the possibility of real journalism and holding power to account. You might think, therefore, that we’d be seeing a flood of analyses and op-eds from the New York Times aggressively condemning any movement toward the prosecution of Julian Assange. You might expect all media outlets in America to be constantly sounding the alarm about this, especially since the threat is coming from the Trump administration, about which outlets like the New York Times are always eager to circulate dire warnings. You might expect every talking head on CNN and NBC to be ominously citing Assange as the clearest and most egregious case yet of Trump’s infamous “war on the free press”. Leaving aside the issues of morality, compassion and human rights that come with Assange’s case, you might think that if for no other reason than sheer unenlightened self interest they’d be loudly and aggressively defending him. They’re not next. Very few will ever publish anything substantive enough to generate serious blowback. Mainstream media outlets and those who thrive within them have no intention of rocking the boat and losing their hard-earned privilege and access. Conservative mass media will continue to defend the US President, and liberal media will continue to defend the CIA and the FBI. Both will help advance war, ecocide, military expansionism, surveillance and police militarisation, and none will leak anything that is damaging to the power structures that they have learned to serve. They will remain innocuous, uncontroversial defenders of the rich and powerful at all times. Meanwhile, alternative media outlets are defending Assange ferociously. Just today as of time of writing I’ve seen articles from Consortium News, World Socialist Website, Disobedient Media, Antiwar and Common Dreams decrying the persecution of the most important government transparency advocate living today. Alternative media outlets and independent writers aren’t bound by establishment servitude, so the value of WikiLeaks is clear as day. One’s eyes are only blinded to the pernicious behaviours of power when power is signing one’s paycheque. Mass media outlets in America and around the world have fully discredited themselves with their failure to defend a publisher who actually holds power to account and brings facts into the light of truth to create an informed populace. Every day that goes by where they don’t unequivocally condemn any attempt to prosecute Assange is another day in the pile of evidence that corporate media outlets serve power and not truth.